TV Channel owners welcome to the CashRamTV Television Revolution. Now not only can you make more money by broadcasting your daily content on the Internet in real time as it is broadcasted locally but here you can also Internet broadcast those Oldies but Goodies material from previous broadcasts. Apart from your regular broadcasts many television stations have lots of in house productions that will never see the light of day again, productions that could have a second life through the Internet. With CashRamTV you now have a vehicle to make money from them all over again because it is possible for you to have multiple Internet TV Channels available from your server showing everything from old soaps to all of 1989's football games. And the best part is you get paid by people from all over the world instead of just your local advertisers. After opening up a CashRamSpam account it is necessary to download the FREE CashRamTVSplit software and run your digital signal through that software before putting it up to your server for Internet broadcasting. Now you have the option to allow anyone to view your broadcast for free from zero to five minutes before the sound or video distortion starts or if you prefer you can have both types of distortions start together. The idea is that unless the viewer is using CashRamPlayer they cannot hear and see your broadcast clearly and they can only use CashRamPlayer after logging into CashRamTV using their CashRamSpam ID and password. Then by clicking on the world map to a country and a city and finally they click on the link that you have supplied to your web page. Please remember, unless they have logged into CashRamTV they can't use CashRamPlayer. 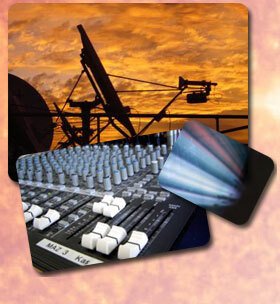 Any recording made of the broadcast carries an inhibitor signal so it can only be seen and heard clearly using the Internet connected CashRamPlayer which identifies the source and allows payment again to that broadcaster when it is replayed. You the TV Channel owner decide what to charge the viewers to your programs from a minimum of AU10 cents per hour upwards. The viewer will pay pro rata, e.g. if you only charge $0.60 per hour and they only watch 3 minutes then you get paid by the viewer 12 cents because the charges are broken down into 5 divisions and each 12 minutes is valued at 12 cents, minus CashRamTV's 10% commission. Because you are supplying the bandwidth the viewer has to pay you even when they are watching advertisements. Many advertisements are works of art. It is also possible to CashRamTag your advertising commercials start and finish time allowing CashRamTV to show the viewer 10 seconds before the ads come on what advertising is available for them to choose from, from highest payer to the subject matter, i.e. from cars to holidays or furniture etc. Then it will remove automatically your local broadcasted blanket advertising and replace it with the target advertising if there is any available for that viewer. The viewer can also choose no ads at all or just a blank screen because they are paying you, not the advertisers. This blank screen will also alert them 10 seconds before the broadcast starts again. Anyone with a server and a CashRamSpam account will be able to send the viewer paying advertising, even their local butcher and baker. This service is aimed specifically to target the individual CashRamTV connected viewer by using the demographic information obtained by any advertiser from the viewers optional Green Pages data profile found inside CashRamSpam. The final outcome is for the advertisers to pay the viewer to watch their ads, which in turn gives the viewers money they can use to pay you for watching and using the only system that can work globally for this type of enterprise, the 'User Pays' system. Any money your TV channel earns from CashRamTV viewers can be paid weekly by electronic money transfer in Australian dollars. The Australian dollar has been for a long time one of the world's most stable currencies. To participate, open up a CashRamSpam account here. Please remember, do not broadcast anything where there is any doubt about the ownership of the copyright and or your right to broadcast it. Not only will offending transmissions access be removed from the site if the copyright ownership is in any doubt but it should be remembered that in most countries it is also a criminal offence to both steal or attempt to steal and the copyright owners will probably prosecute those that do.